With a population of about 105,000 residents, Cambridge is located in Middlesex County, Massachusetts, across the Charles River from Boston. Home to Harvard University and MIT, the city was named after the University of Cambridge in England, since it was an important center for Puritan theology. The city was incorporated in 1846. It changed substantially in the 20th century with the development of brickyards, the launch of the ice-cutting industry, and the creation of subdivisions to accommodate and influx of immigrants. If you are hurt at your job in Cambridge, you may be eligible for workers' compensation benefits. The experienced attorneys at Pulgini & Norton can represent you throughout the claims process. If you are hurt or become sick because of work conditions, it is important to immediately report your illness or injury to your employer. You should explain what happened, including the date, time, and location of the accident or triggering event, and describe your injuries and symptoms. It is your employer's responsibility to file a report to advance your pursuit of workers' compensation benefits. If you are unable to earn full wages for five or more calendar days because of a work injury, your employer has seven days (not including legal holidays or Sundays) from the fifth date of loss to report your injury to its workers' compensation insurer. The insurer has 14 calendar days from the date of receipt to send you a check or a denial form. The insurer may request that you attend an independent medical exam (IME). You can be compensated for lost work time only if you are going to an IME requested by the insurer during your normal work hours. If your employer refuses or fails to file a report, you can contact the insurer and the Department of Industrial Accidents to file a claim. You have four years to file a claim with the insurer once you realize there is a causal connection between your injury, illness, or disability and your job. When an employee dies due to a job-related accident or condition, his or her survivors or dependents have four years from the date of death to file a claim for death benefits. 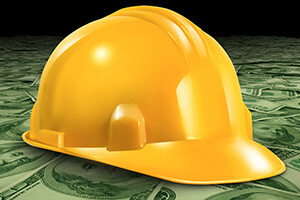 When an insurer denies a workers' compensation claim, it must provide an explanation why. In some cases, the insurer will partially deny and partially allow your claim, approving you for certain benefits and denying others. You can appeal the decision. The first step of the appeals process is conciliation, which is an informal meeting, and its outcome does not have to be binding. If no agreement is reached, the conciliator refers your case to an administrative judge who will preside over a conference, another informal proceeding. Subsequent appellate steps are a hearing, which is similar to a trial, and a review by the Review Board. If you encounter any resistance to obtaining benefits from your employer or the insurer, you may want to consult an experienced attorney. Insurers and their lawyers are familiar with the complex rules involved in workers' compensation claims, and representation by an advocate of your own can make a difference in the outcome of your claim. The work injury lawyers at Pulgini & Norton are dedicated advocates for Cambridge residents and others throughout Massachusetts who are suffering from job-related injuries. Call us at 781-843-2200 or contact us via our online form for a consultation.